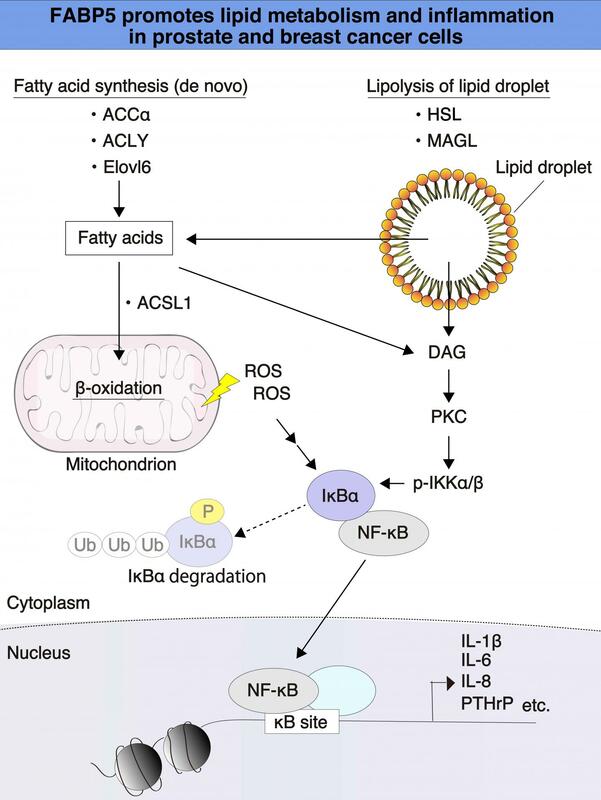 The study was published in BBA – Molecular and Cell Biology of Lipids in June 2018. The researchers used standard molecular biology methods to obtain their results and show that certain genes are upregulated (or "turned on") by FABP5 expression. These genes are changed in several crucial processes during multiplication and division of aggressive cancer cells. The authors state that while in the current study they have revealed that FABP5 might regulate lipid quality and/or quantity, but that the details of molecular mechanisms of metabolic reprogramming of lipids mediated by FABP5 are yet to be fully understood. Professor Fujii adds that, "Studies on analyses of lipid droplet contents should be needed to reveal alterations of lipid profiling induced by FABP5 in cancer cells in the future."